This beauty may become available soon in the Chicagoland area. Optics were made by Dan Joyce and Ken Wolf at the Adler Planetarium optical shop in about '76. Does anyone know anything about the mount or drive? Thanks. All I know it that is one beautiful scope! Looks all custom although it could have a Byers main drive. Hard to tell as its covered by that wonderful custom RA circle. Mount has a fixed polar angle which means it would need to be modified to be used at another latitude. Maybe shimmed at little for something within a couple of degrees. Tube looks like an original Parks FG which you could buy un-modified in those days, which sort of makes it look like a Cave, which it is not. 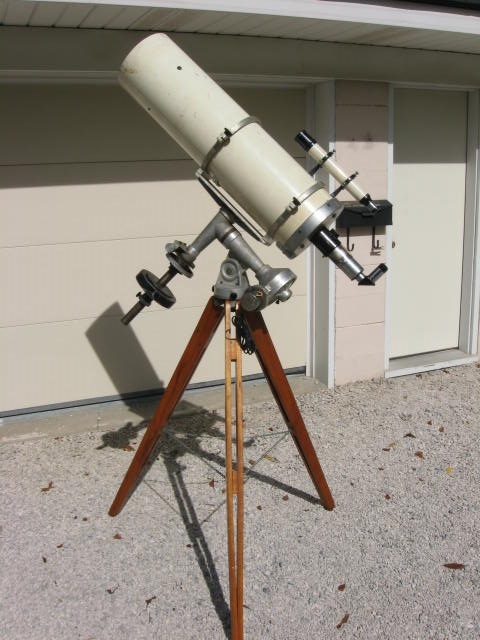 Towa guidescope as sold by Meade. The finder is one of the same ones I acquired for my Cave 12.5" Cass/Newt restoration although I am not sure who made it. R&P looks like the one sold by Telescopics but not 100% sure. I want it! And it’s near me!!! Mark Napersky and I will be checking out this amazing scope tonight. Edited by Darren Drake, 31 October 2018 - 08:17 AM. A scope similar to that is what started my love affair with classical Cassegrains. I was at TSP in either 2010 or 2011 and somebody from New Jersey had trucked (yes, a rented panel van) a Cave(?) 12.5" classical Cassegrain, with matching mount to Ft. Davis. He had restored everything and had the mirrors refigured and recoated. I only got to look through the scope for a few minutes, but it was the best view of M51 I'd ever had. Couldn't possibly have had anything to do with clear, dry air and steady seeing over west Texas, it was all the scope. Now I have two classical Cassegrains. Be careful what you allow yourself to look through. Interesting dedication in construction for application, primarily custom set latitude with adjustment. Nice accessories. The 'guide' is the proverbial Towa 339. 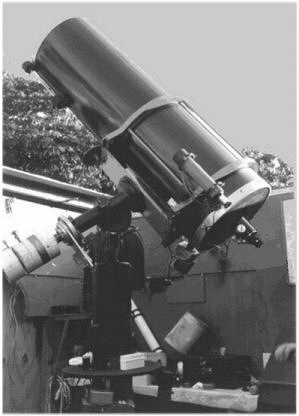 Meade had this in a couple of configurations, the 300 and 305 models at least, maybe others. 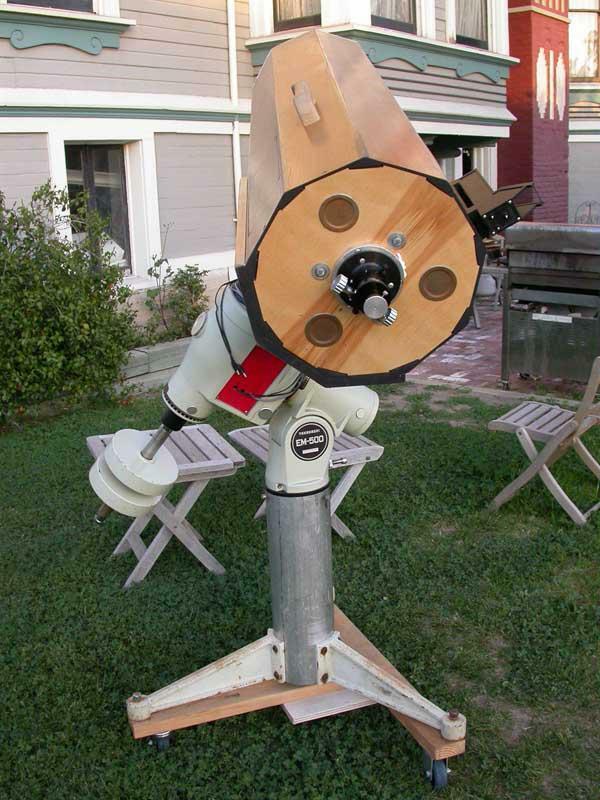 This one is not only looks excellent , it is the 305 specific guide model Meade sold separately. It has the factory 1.25" eye end. Mine has excellent optics. 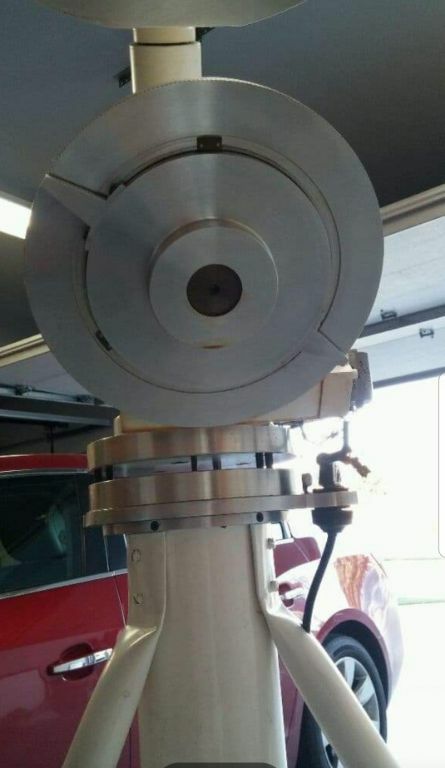 The focuser does look similar to the SkyMicro Giant. Hard to tell in the picture. The Giant is an outstanding focuser if working like it did after this many years. Pretty easy to get one that way. It would be nice to know some specs. Focal length or F ratio. A detailed secondary picture and visual description would be awesome. These would ideally be fully omni adjustable but simple, fine set, and easy with rock solid let go. Um, yeah, wishful. 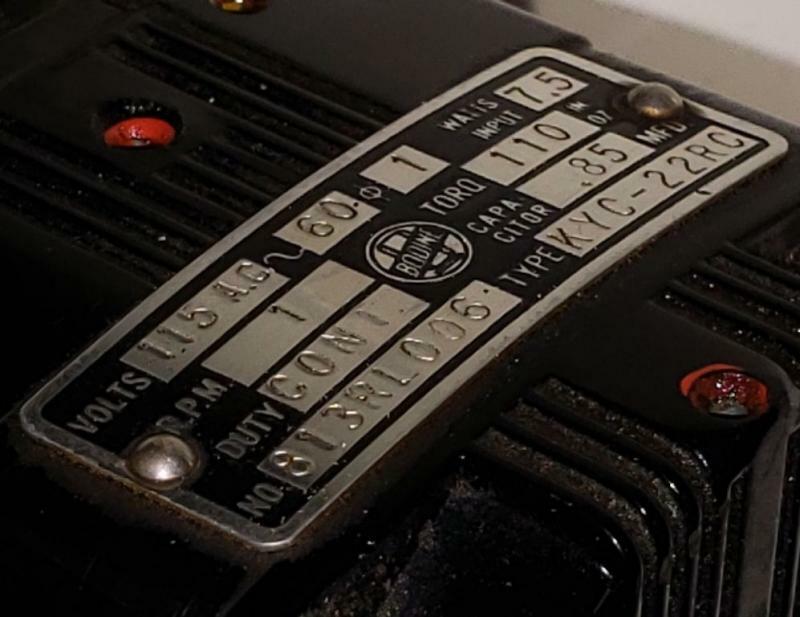 A Harbor freight cheap rear end inclinometer would check for a level hub then angle of the RA housing. The hub doesn't even have to be level, just check aligned differences. It's easy to check the DEC housing too for being 90 degrees to the RA. Using the position in the photo and then flipping the the DEC housing 180, the RA and DEC can be checked for perpendicular. This is a nice looking scope. A few pics from tonight. It is way more massive than I had envisioned. Also the coatings are totally shot which is not a surprise. The motor drive has seized up. We need to test the optics which may happen Sunday whether or not it's clear. Edited by Darren Drake, 31 October 2018 - 09:51 PM. Edited by Darren Drake, 31 October 2018 - 10:39 PM. Is the secondary pretty far back from the front of the OTA? I am trying to guess the focal ratio of the primary, f/4 or f/4.5? The primary is f4 parabolic and the secondary is 4X. So its an f/16 system. Edited by TOM KIEHL, 02 November 2018 - 06:37 AM. I met Ken Wolf, in 1980, he was retired at the time and lived not far from me Rock Falls, Il. He had a machine shop in his basement and was making tangent style clock drives that he called the "Wolf Drive." I think l may have one buried in a box some where. He use to talk about his days of teaching mirror making at Adler. 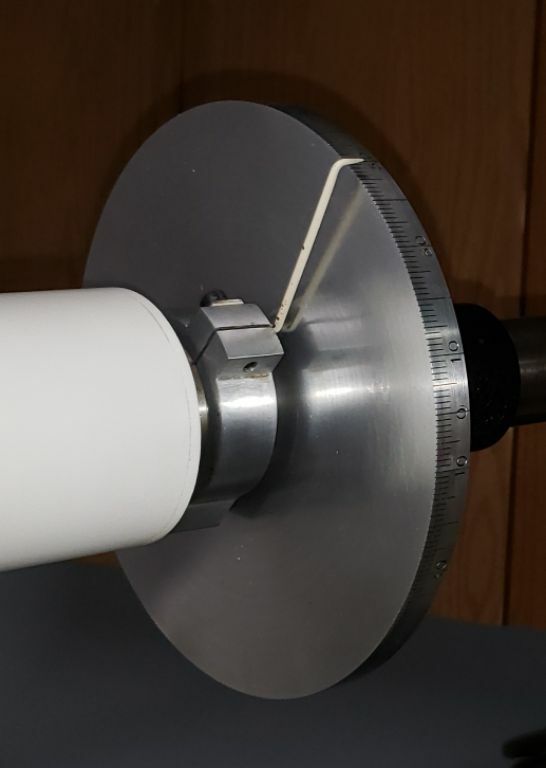 He helped me out by replacing the declination axis, in my babbet bearing mount, with a full lenght 1 1/4" shaft. 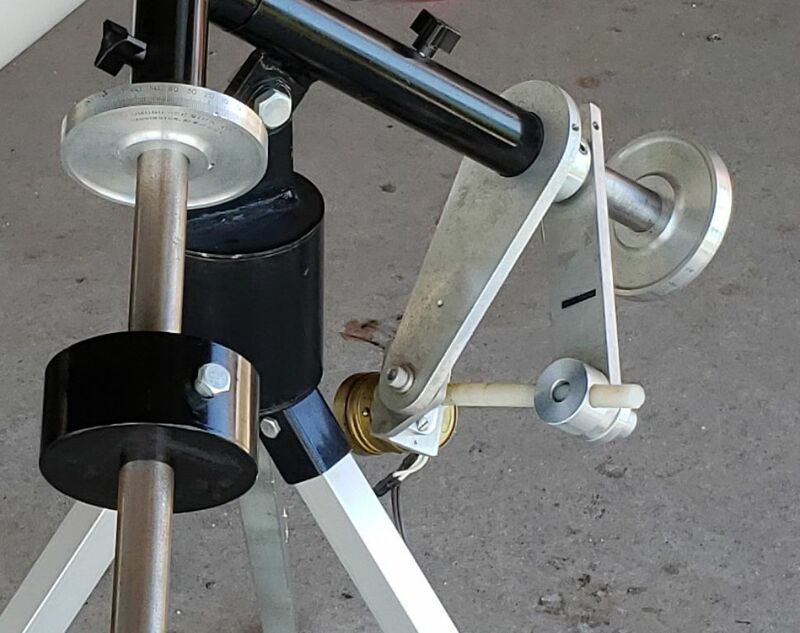 This allowed me to use a heaver counter weight for the 6" scope I was building at the time. Did the Wolf drive look like this by chance??? Me too; I still love Classical Cassegrains, but took off on Newtonians. My 12.5” f/30 with 16% obstruction. Was going to build a the 16-inch f/4 – f/50 system: a 9.5% obstruction but ran out of steam. 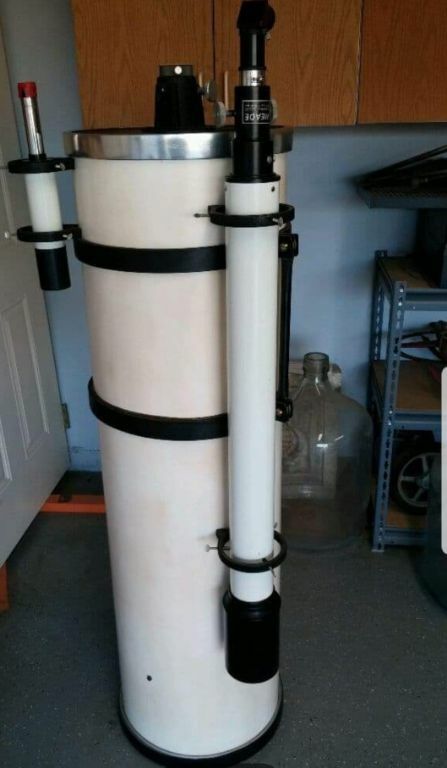 Not many here post of such telescopes. Cassical Classegrains are the best! 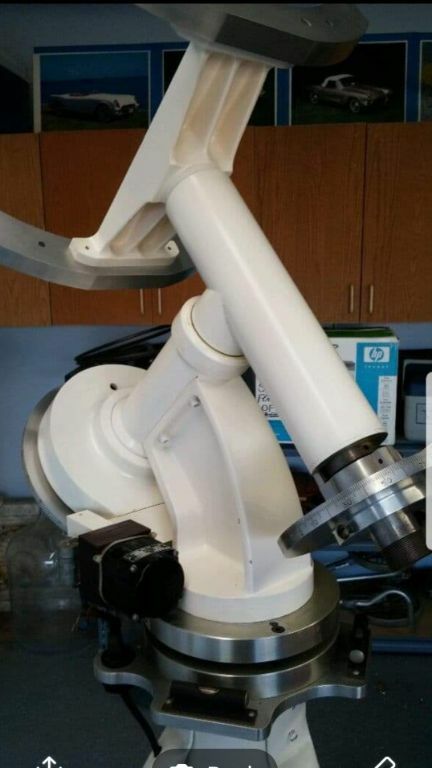 Couple of years ago I bought a 8" Cassegrain optics set from a guy who said they were made in the basement of the Alder Planetarium in the 80s. The optics were never mounted. I have all the original specs and spacings of the mirrors. On the back of the secondary is scribbed "RIOS" (IIRC). Classical Cass's are a pain in the __ss's....... to set up the optics spacing . BUT with proper spacing set up , and light baffling they give good images . 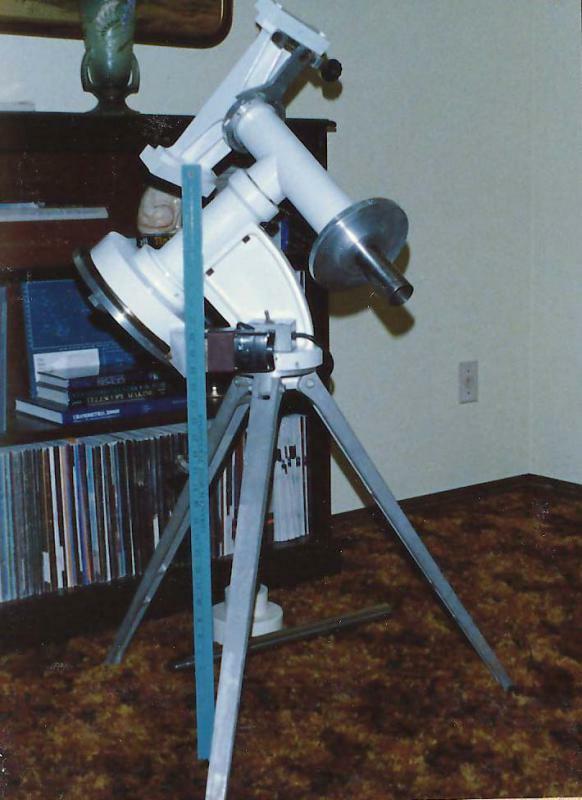 Here is Sim Holler's 8" F 12 personal classic cass , a prototype for the future Vernon / Cleveland scope sold by Don Yier of Vernonscope , and partner Sim Holler of Cleveland Astronomics . TOM KIEHL, Maybe, but back when I made my Classical Cass and then replaced the secondary from f/16 to f/30 I found them easy to assemble. Just saying. While setting up the course spacing with a ruler, fine tuning it optically was very easy. Edited by Jeff B1, 02 November 2018 - 08:11 AM.